Welcome to the Journey of Awakening your Light Within. The Time is NOW, be the change that you’ve been waiting for, and AWAKEN your light within! As the light codes and higher frequencies tap into somatic cells it unlocks your divine blueprint it awakens your DNA and activates or reprograms the information contained. Allowing these transmissions to interact with your Body of Light. The embedded qualities within these activations support that shift into higher frequencies successfully and are needed in order to expand into higher conscious awareness and beyond. Because the existing masculine nature has been dominant in sentient beings for the past 26, 0000 years, a true balance has escaped many initiates on the path. These incoming codes are feminine in nature and exist to help make balance obtainable. Once you have been initially activated, you will experience an increase in your frequency to align with that of the Divine Feminine and (depending on your placement in your own evolutionary process) a deep sense of knowing that which you know is so. Daily miracles and manifestations, inner peace and physical healing, as well as other Cosmic Happenings will begin to be a part of your Individual Reality. 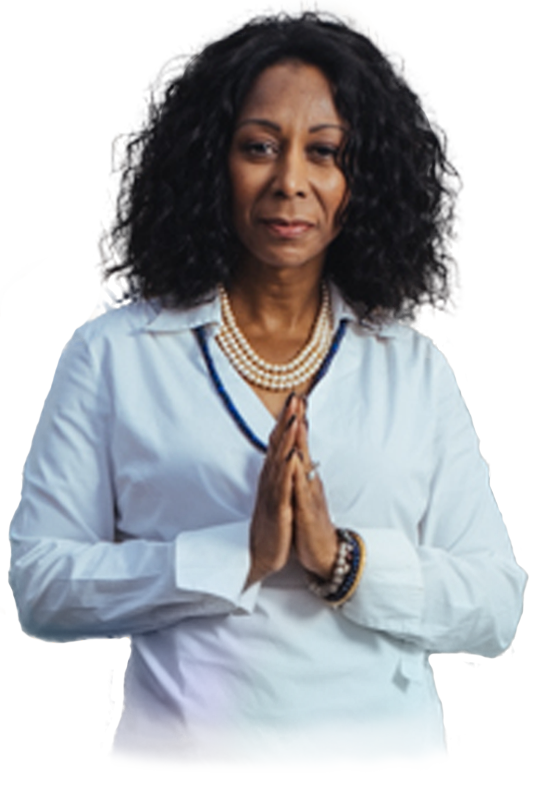 Now is the time to return to a balance by embracing the Divine feminine energy that is with Dr. Edwige. Through this cycle, humanity will come to know itself as a Soul of God, sourced from within the core of the Galactic beam of the Milky Way. No matter where you are on your journey of Ascension we have something to help you expand into your Multi-Dimensional Self. From our free membership to Ascension Pathway or the premium level, to our Mentoring programs, live monthly ascension webinars, mastermind group sessions, private sessions, and Quantum Light Activations, or check out one of our many tools in our store. They are all designed to raise your frequency and get you into the FLOW. The choice is yours! Now is the time to Immerse yourself in the feeling of coming home as the Cosmic Mother speaks the Light Language and assist you in being transformed into the truth of who you are. It is time to shed the old you and move past your fear of losing yourself in the awakening. Surrender and allow yourself to expand and become all that the Divine has for you. Where to begin? I purchased Dr Edwige’s special offer through the You Wealth Revolution and I can say, beyond a shadow of doubt it is the most transformational experience I have ever known. Immediately before my consultation with Dr Edwige, I had “progressed” to the Morphogenic Metamorphosis Meditation, after which, for the first time ever, I felt the energy moving through my body, “saw” differently through my eyes and “felt” as if I must be transparent even though that may not make “sense”. One of the most incredible, affirming experiences I have ever had. As you said, Dr Edwige, “When you are ready “it” happens” and clearly I am ready to step forward. Many blessings to you and all who are drawn to you as I was. Namaste. WOW!!! There are no words to say THANK YOU to Rev. Dr. Edwige. I had a healing session with her and it was AMAZING. I could feel her energy and I felt that my body was vibrating at a higher level. Thank you. Hi Dr. Edwige, Update! I was one of the callers you worked with during the ‘Awakening Heart Network’. I’m the woman who had watched some creature go into my head. You cleared it out of me. I have not had the regular migraine attack now for 25 days! To say I am hopeful and elated is an understatement! Thank you so much! Just dropping a line to say Thank You for working with me on Wednesday. The experience was eye-opening and profound. I AM much lighter in my body and move with definite joy and excitement. While I continue to consciously go through life’s moments I feel that everything is just another slide in a divine movie. I have been opening my heart to family members who are going through their own stuff, bearing in mind that the story is not mine to direct. nces that are extremely painful. I continue to feel calm and centered as well as something I’ve not felt in over 65 years…whole! You have been blessed with an incredible gift and I thank you from the bottom of my heart for sharing your gift with me. My dear new friend. I just wished to tell you how wonderful you are. I meet many who (in our line of work) who wish to change the world, not many are as sincere as they would like others to believe. Yet you sweetheart, you I can feel, you I can sense, you precious Edwige have a truly beautiful soul that doesn’t run on ego, yet runs with simple truths. Inspire the world beautiful lady because you truly shine. Love and Blessings to you. Join our mailing list to receive your free 30-minute video on meditation and spiritual practices.